It was a nice Sunday morning. I was having my cup of tea with my favourite Indori Poha, thinking about what to binge-watch on Netflix today. Just then my phone rang. It was my friend Manny (Australian version of Manohar) on the other side. Manny: Hey Harsh, kya haal hai(how are you?) It’s been long since we last talked. I couldn’t help but notice that Manny’s voice had a strange mix of excitement and anxiety. Me: Yeah I am good, buddy. What’s up? Manny: Arre yaar, It’s been busy past few months. I became a proud father of a baby daughter last Saturday. Me: Wow! congratulations mate. That’s amazing. How’s the baby and your wife doing? Manny: They are back home now and doing great. I had a question though – I want to get the citizenship certificate and Australian passport for my baby daughter. Do you know what is the process? Since you had babies recently, I thought you might have a better idea. Me: Yeah of course. There is a number of steps until you get the passport. 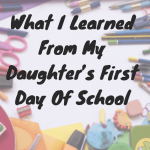 Let start with the first part – getting a Birth certificate. As per the Australian law, it is mandatory to register the birth of a child within 60 days of birth. The process of birth registration is pretty straightforward and free. When baby or babies are born, you will receive an envelope from the hospital called the Parent Pack, one for each baby. This parent pack contains a form called – Birth Registration Statement, along with other important documents. You need to fill this form and get it signed by a witness. 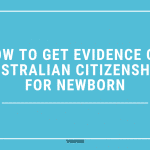 A witness doesn’t need to be an Australian citizen but should be other than the parents of the child. So your friend or colleague can sign as a witness. Child’s name and date of birth. This means you must decide on the child’s name before you register. Usually, we Indians take our own sweet little time to check baby’s Astrological sign, holy letter of that sign, friend and relative’s suggestions, top trending names as per Google etc. to decide about baby’s name. Well, you should brainstorm and finalise the name long before you register child’s birth. Mother details. One pitfall – Family name at birth requires your wife’s surname before marriage, not the current surname. You can opt to order one or more birth certificates for your baby using this form. Back in India, I bought 5 copies of the birth certificate for my daughter because everyone – daycare, schools etc. wants an original copy. But here in Australia, one copy is enough. Scan or duplicate copy of the certificate is acceptable everywhere. 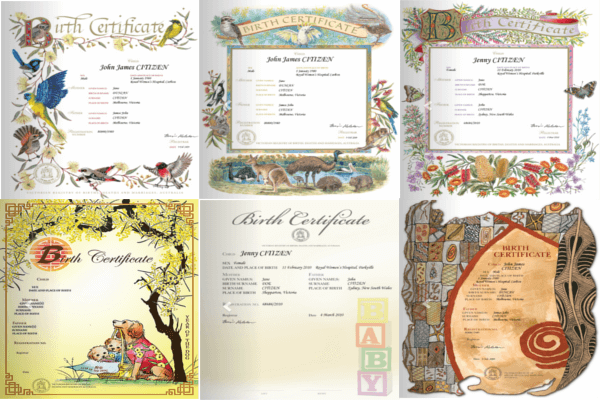 You can either order just the standard birth certificate or you can opt for the package where you get one standard and one commemorative birth certificate. These commemorative certificates, by the way, are beautiful. Hell, even my university certificate looks dull compared to this (just for the record, it is super dull). For Victoria, you get to choose from 8 different templates ranging from Aboriginal Heritage, Victorian birds, flora and fauna to the Chinese zodiac year, Victorian footprints and so on. To be honest, I had a hard time choosing the design because they all looked so great with their fancy backgrounds and stylish cursive fonts. Once you fill the form, you should send it to Registry of Births, Deaths and Marriages for your state by post. If you don’t like the old way, most of the Australian states have made the process of birth registration online. How much does the birth registration costs in Victoria? Well the birth registration itself is free. But if you order birth certificate (which you have to), you need to pay. If you opt for a standard certificate only, it will cost a bit more. It is priced at $33 plus $1 for a standard post or $7.4 for registered post. If you are outside of Australia, you need to pay $3.70 for Airmail. On the other hand, if you buy a package, it costs $60 including postal charges. If you ask me, it’s expensive but it’s once in a lifetime event, so I don’t mind spending a little extra to have a nice little memento. 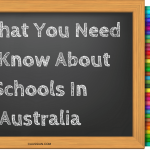 How long does it take to get a birth certificate in Australia? Once you submit the form, you will receive the birth certificate by post in a couple of weeks. As per Birth Deaths and Marriages Victoria, the standard processing time is 20 working days but usually, it takes less than that. Manny: Oh, great! That was useful. I think that’s good starting point for me. Thank you so much. According to 2016 census, 26% of the Australian population were born overseas. India ranked 5th just behind China, New Zealand, England and Australia.